John Suchet, Classic FM presenter and former ITN reporter, has just published his sixth book on Beethoven entitled ‘Beethoven: The Man Revealed’. I spoke to him about his passion for Beethoven and his music. Why is Beethoven so important to you? The background to it is that I am a failed musician. When I was at school and university I was actually quite good, the best in my year. I used to play the hymns at school, I played the violin in the orchestra, I played the trombone in the military band, the concert band … I was heavily into music and decided to become a professional but fortunately for the world of music I changed my mind as I just didn’t have enough talent, but music’s always been in the background of my life. I came to Beethoven fairly late, I suppose in my mid to late twenties. I was very into Tchaikovsky, Sibelius, Mendelssohn, and one day I heard a bit of Beethoven and the harmonies slightly unsettled me and I began to listen to more and more and as always he drew me in. 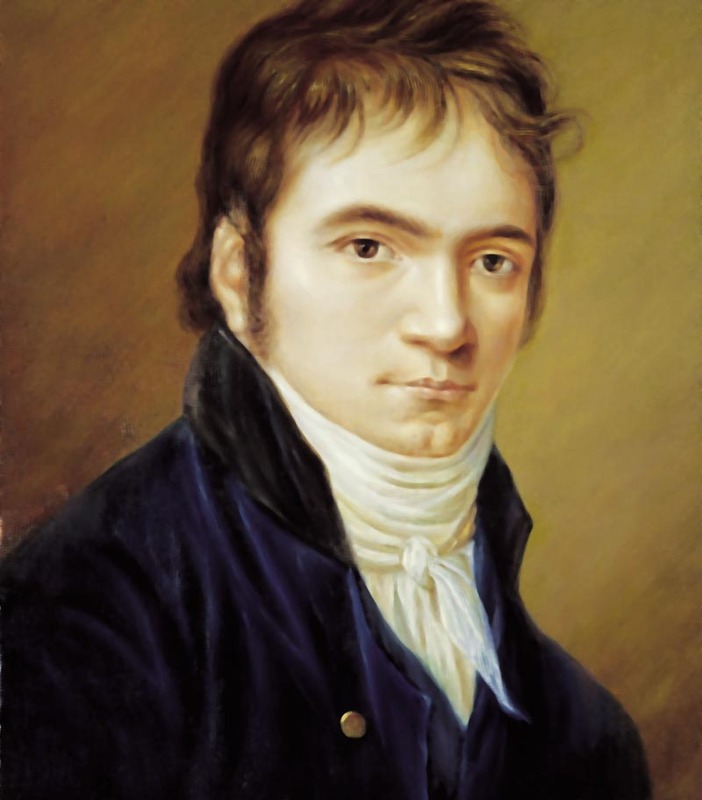 To begin with I only knew the angry stuff that everybody knows – the Fifth Symphony – hair flying everywhere and the tradition that he was always in a bad temper … and of course the one thing I knew about him, that everybody knows about Beethoven, is that he is the one who went deaf. As I listened to more of his music though I slowly began to discover the different kind of music, the gentle lyrical stuff, for example the Triple Concerto. The slow movement of that, which funnily enough I discovered in Beirut covering the Lebanese civil war as an ITN reporter and I went into a music shop – funny how even when a place is at war shops still operate quite normally – and I saw Beethoven’s Triple Concerto and I thought ‘I didn’t know he wrote one of those!’ I just got more and more drawn in, and as I got drawn in I thought ‘how did he do all of this when he was going deaf’, and I just got more and more passionate about his music and now it has reached the stage – well I decided 20 years ago – that he is the man for me. You say in your book that Beethoven’s early music lessons were ‘a means of escape’. Was his music in general a form of escapism from biographical troubles for him, sometimes? I wouldn’t describe it as escapism. Music was his life, it was the only thing he could do. He knew better than anyone that he had no talent in any other direction at all, he didn’t know how to live properly; his rooms were always a complete shambles, he never dressed properly. He lived in the most cultured and sophisticated city in continental Europe and street urchins used to poke fun at him in the street. He just didn’t know how to look after himself and his friends doing all that for him. I wouldn’t say he used music as escapism, that just was his life. And then he discovered that he was losing – as he said in the Heiligenstadt Testament – ‘the one sense that should have been more highly developed in me than anyone.’ It led to total despair for him – but he came through it. I notice you said that your Desert Island disc would be the Piano Sonata Op. 110 [performed by Jörg Demus on Beethoven’s last, Graf piano]. Why that particular piece? If you listen to Beethoven’s music without knowing a single thing about his life – it is glorious, wonderful, beautiful music. But I believe that with Beethoven more than with any other composer, if you know what’s going on in his life when he wrote a particular piece of music, you listen to it through different ears. And I think that Beethoven more than any other composer pours his life into his music. Beethoven’s music, for me, is his autobiography. If you know his life you hear his life in his music. Someone once said to me – we were having an argument about who’s greatest, Bach, Mozart, or Beethoven; for him, the answer was Bach. He said that Mozart’s music tells you what it’s like to be a human being, Beethoven’s music tells you what it’s like to be Beethoven, and Bach’s music tells you what it’s like to be immortal. I won’t discuss either Bach or Mozart, but in saying that Beethoven’s music tells you what it’s like to be Beethoven he is absolutely right. In no piece is this more true than in Op. 110. To me, he is telling us the story of his deafness. If you listen to the bridge between the penultimate and final movements, he sounds a melody which is one of the saddest that he ever wrote. He wrote on the manuscript page ‘Klagender Gesang’ – ‘doleful song’. But he stops it – he brings it to a close, and then he sounds a chord and he repeats it no fewer than nine times, crescendo, before he goes into a massive fugue for the final movement. And he never explicitly said it, but to me that is Beethoven saying ‘I went deaf. I suffered this fate. But look what I did. I overcame it. I will not let it destroy me.’ To me, that is what Op. 110 is doing. Every time I hear it, I end up – as he intended, I believe – feeling I could climb Everest. That is what Beethoven’s music does. He is saying ‘I overcame the worst problem that could befall a musician.’ That is the essence of Beethoven’s music. The second movement of this particular sonata is based upon the melody of a popular song – I suppose you get a very human element in this sonata as well? Yes he borrows a lot. I agree entirely. It’s a very uplifting sonata. It’s in the major key – it’s a very upbeat work. It’s quite interesting that it’s in the middle of the final set of three, by which time he is pretty much terminally ill. He is exhausted from trying to look after his nephew, he’s come through a four and a half year court case. Everything that could be going wrong for him is going wrong. His deafness is now profound. And he comes out with an uplifting work like that! It’s an absolute miracle. Your book is aimed at a wide readership of people who love music but don’t read music or have an understanding of academic musicology – do you feel that it’s necessary to know a lot about Beethoven’s music to hear it in the way you do? It depends on what level you listen to it on. As I say, you don’t have to know anything about his life to appreciate his music. I get emails all the time from Classic FM listeners who don’t know anything about his life and certainly can’t read music, and I believe that there are thousands of people out there who will tell you he is their favourite composer and they cannot read a note of music. It is for them that this book is written. It’s not a Classic FM book by accident – it’s meant for Classic FM listeners … I set myself a rule at the beginning of the book – there would not be a single musical example in the book … It is of far more interest to me, even of more importance to me, that he initially dedicated the Eroica Symphony to Napoleon Bonaparte and then scratched his name out on the title page in a fit of rage when he discovered that Napoleon had declared himself Emperor, than that he chose to write it in E-flat. … Barry Cooper … will tell you why it is in E-flat and why that is important, what keys Beethoven would choose for particular works but you won’t read any of that in my books. I get to the music through the man, and other writers such as Barry get to the man through the music. If so many thousands appreciate his music, do you think that it’s appropriate to keep Western music such as Beethoven and Bach, etc. on the secondary school curriculum? I don’t want to get into a deep political discussion on what is right and wrong; it’s not my place as a Classic FM presenter to argue about government funding cuts … But I do believe that music in some form or other should be part of every child’s education. Whether it should be the classics – maybe the classics are a bit daunting when they’re really young – get them into it in other ways and then educate them further. Yes, I would love it to be an essential part of a child’s education along with reading … I believe that of all the arts it [music] is the most accessible. I’ve often said that if you stop anyone of any age in any town or city anywhere in the world, and … you ask them what their favourite painting is, or their favourite novel, they might struggle a little. Ask them what their favourite piece of music is and they will have an answer, whatever it is. And for me that’s good enough. It doesn’t have to be Beethoven or Haydn or Wagner – it could be anything. It could be The Beatles or The Rolling Stones or Amy Winehouse, but they will have a favourite piece of music. I believe that it is the most widespread and the most accessible of the arts. So it should play an important part, in some form or other, in every child’s education. Even if it’s just singing in the school choir. In your book, you’ve presented quite a bit of information that hasn’t been published before in English. What was the most exciting for you to find? The one thing that really excited me was that when he was nineteen he was a member of the court orchestra in Bonn, a viola player would you believe – good enough to be in an orchestra. The Prince Elector in Bonn was the Grand Master of the Teutonic Order and he had to go to a summer conference of the Teutonic Order in Mergentheim which was a couple of days’ sailing away from Bonn … In those days you went by boat, it was the easiest way to do it, and he decided to take his orchestra with him – including Beethoven. The members of the choir and orchestra were very happy, it was a great summer trip for them. When the boat left Bonn they appointed a bass singer from the electoral choir King for the Journey, and he allotted parts to the orchestral players on board and what do you think he gave to Beethoven? As the youngest member of the orchestra, he was appointed kitchen scullion. To me that is lovely. The image of Beethoven I’m trying to get away from is the godlike figure with laurel-leaves around his forehead, the big marble busts and the bronze statues; this titanic figure. He was a little ugly chap and he had to live in a city at war, and he was a human being who had to pay his rent and get his clothes done. 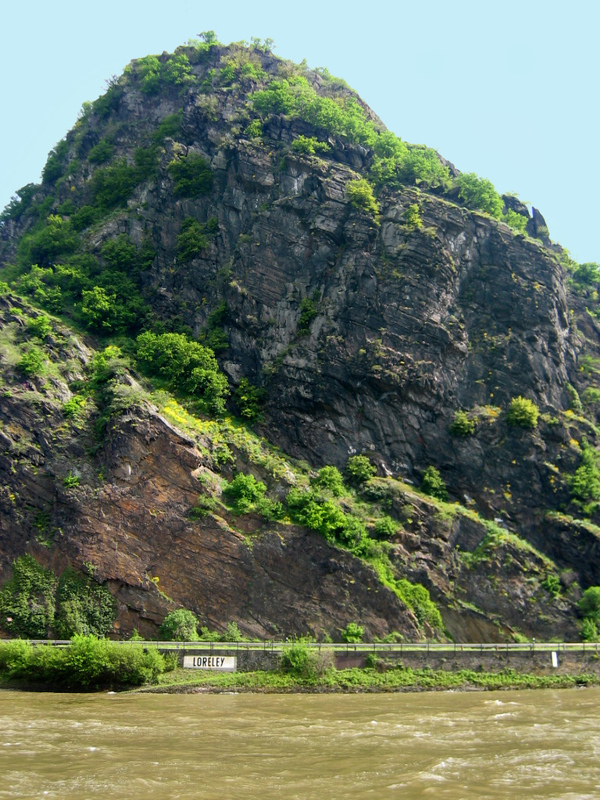 To me, ever since I read my first Beethoven biography thirty years ago, I have wanted to recreate that boat trip in which he was kitchen scullion … And the summer before last I got on a boat up the Rhine and did the trip by boat; I sailed past the Drachenfels [Dragon Rock], the Loreley, and all the settings for the Rhine legends that Beethoven would have known … Most biographers just ignore this story or give it about a line, for the simple reason that it didn’t produce great compositions from him. But for me, I think, I was able to get under the skin of the man by doing that trip. And it was actually very important because it got him out of Bonn, and he performed in Aschaffenburg where the boat stopped for a great local virtuoso [Sterkel] who was stunned at his virtuosity. Then he performed at Mergentheim and it was the first time really that his reputation as a performer spread outside Bonn, so I think that this is really important. Halfway through the trip he was promoted because he had done so well at being kitchen scullion. We don’t know what he was promoted to, probably to a waiter, and at the end of the trip he was presented with a certificate and a little piece of tarred rope from the rigging of the boat which he kept with him for the rest of his adult life. I know that details of that trip have never been published in English … and in the book I dedicated a whole chapter to it because I think it was a vital part of his teenage years. In the respect that you aim to present the ‘human’ Beethoven, do you see your book in the same line of scholarship as books like Tia de Nora’s ‘Beethoven and the Construction of Genius’, but aimed at a wider audience? Yes, totally. The genius that they are talking about there is his music. Lewis Lockwood’s biography says in the introduction that this book is more about the music than the man. That’s absolutely fine, and thank goodness there are many books like that. My book is more about the man than the music. When I tell Beethoven’s stories to people – because I go around the country doing talks about it – they gasp with astonishment at what he got up to. I think, as I said earlier, that if you know the man you listen to the music with different ears. And that is my aim, not to tell you about the key signatures, or the thematic construction of anything. … William Kinderman, Beethoven scholar and pianist … has written a 250 page book on the Diabelli Variations, one composition. He relates every bar of every variation to every bar of every other variation, so he unpicks that entire work. He devotes a whole book to it. I met him, he’s a lovely guy – and he said I really admire what you do in telling people what he was like as a man; I’m telling them about his music. I was absolutely stunned when he said that because I’ve always considered myself a non-musicologist; how can I possibly work alongside these people? But they seem to be grateful to me for presenting him as a character as much as a musician. A very good British conductor, Douglas Boyd … conducted a Classic FM live concert a few months ago. He knew about my book and said please could he have a copy because he said he thinks that it’s really important for people who perform the music – he’d just finished recording the nine symphonies with the Manchester Camerata – have to know what he was getting up to in his life. To hear that from a professional conductor was absolute magic for me. We certainly have a lot of scholarship dedicated to Schubert from a biographical perspective, but Beethoven seems to be on a somewhat untouchable pedestal, do you think? I think that’s right. As we speak I’m looking at one of my most treasured possessions which is my life mask of him in heavy bronze, that I got in Vienna, and there are laurel leaves on his head! He’s a god-like figure but … he was a man. Of course this perception has serious repercussions when we move into the twentieth century – Beethoven reception takes on a somewhat unpleasant tinge when he was appropriated in the Third Reich. There was an interesting series on Hitler a couple of weeks ago by Laurence Rees – on how he managed to sway the masses – and the music all the way through it was Beethoven. … Of course he was appropriated in the same way as Wagner was appropriated by the Nazis – of course Wagner was a very nasty, anti-Semitic man – but my belief is that you can separate the art from the artist. Beethoven, as far as we know, didn’t have any of those horrible qualities. But yes you can appropriate his music, but usually for a good cause. The first concert in united Berlin was a Beethoven concert … in the concert hall built right next to the wall was Barenboim playing the First Piano Concerto, and the Symphony No. 7. The audience in that were from the East, the first time they had crossed to the West. I was there, and there were tears coming down their cheeks listening to Beethoven’s Seventh. Do you have any further Beethoven projects lined up? The Man Revealed is my sixth book on him and I think probably my last. It’s a full-length, formal biography … beginning with birth and ending with death. I wrote it really fast; the publisher gave me a year to write it and I wrote it in five months, it was right at the front of my head. I think it came about through joining Classic FM full time. There were so many things that I wanted to say about him that I hadn’t already written elsewhere. In a way it’s my definitive word on him so I suspect that it’s my last Beethoven book, but who knows!